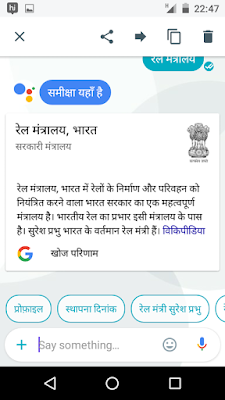 India is one of the key market for Google and by sensing this Google's ambitious project Google's Allo learned and recognized Hindi quite early as what was promised to be in the development phase. 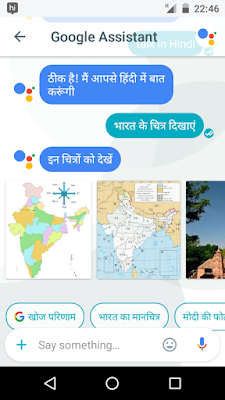 At September this year Google Allo launched aiming to compete with WhatsApp, Hike, Telegram, aimed to become popular infront of Indian youths as well as in the other part of the World. So far Google Allo launched with a big promise with specialty of Google Assistant but remain steady rather then making a big impact in compare of the existing competitors. 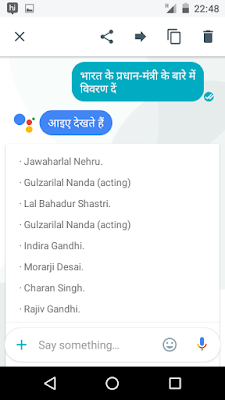 Google Allo can be consider as a counterpart of WhatsApp and Hike where users have to register themselves with a mobile number unless like Telegram which also used to provide the feature of username it means if someone is not comfortable for sharing his or her number still he or she can create a group and personal chat with the username they take to have a profile, Telegram will only recognizes the number of contact list you have saved in the mobile rest it won't disclose you in chats because of Username facility. 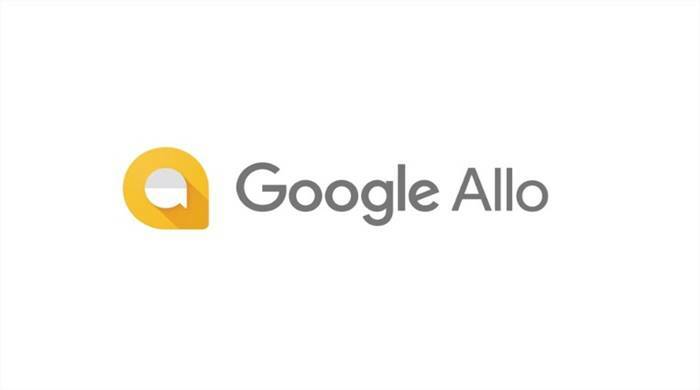 Though with Google Allo you can't expect Username system at this moment of time because of Google's current Terms and Conditions which won't allow someone to decide the username of their own in Google+ profile and page either, similarly for Youtube channel as well hence Google Allo kept the one way out to create profiles. Google aim to get a boost via Google Allo in India particularly as the number of smart phone users and that too of Android is quite huge in stats and figures and even dominating in the market hence Google sensed the urgency to go extra mile with Hindi language, Google Allo already came up with Stickers hence we can always feels the Indian stickers trend soon just like Hike. But if truly compare how many of people will really gonna go with Google Allo will be the big question for sure. There is always a possibility infront of users in India to have a multiple chatting app accounts only condition is if its flexible in size and little bit cool overall in working. Honestly no App can really replace WhatsApp only except WhatsApp hence to capture to 2nd spot and reaching to quite nearby of WhatsApp every company is working hard. Even Hike last month launched their new feature "Stories" which is quite inspired from Snapchat where you have funny faces to choose including Bollywood actor Ranveer Singh and PM Narendra Modi by taking snaps with the face you selected you can create a new story which will last for next 48 hours which will let your circle to have some fun and reason to interact, that's the another way Hike is looking to engage their base with the concept. 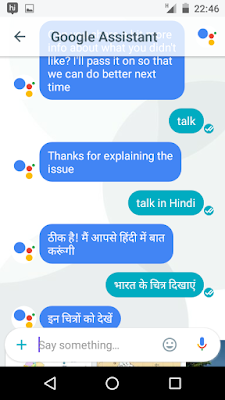 Calling Google Assistant is same as before you just needs to tag @google in the conversation and start talking assistance in Hindi. Google has improved the voice recognition as well but need more work on it, sometime it stuck on some words which Google couldn't understood in 1 attempt. Overall it increases the value infront of the Indian users of Google Allo and Google must be hoping to increase its ground although long way to go for Google to cement its place with Allo all around the World though. In addition with this Google also added Brazilian Portuguese support to the Assistant and Smart Reply along with local stickers for Brazil catering Food, Gamer Culture and City Life. You can install Google Allo from Google Play Store & iTunes. 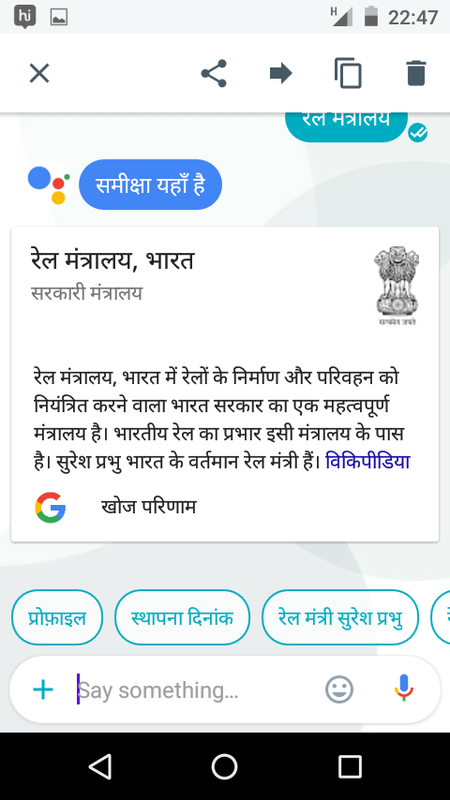 Checkout more from Google Allo Official Website.